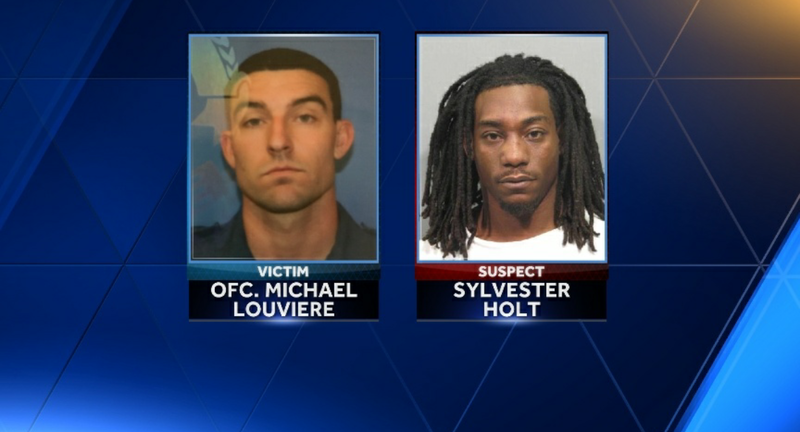 A Louisiana police officer, 26-year old Michael Louviere, was shot dead in January while helping a woman he thought was in a car crash. According to FOX & CNN reports, the officer realized that Simone Veal, 32, was wounded not from the crash but from a gunshot wound. A man then walked up behind the officer and shot him in the back of the head. The man was Veal’s ex-boyfriend who was chasing her down. Veal was also 8 months pregnant with her new boyfriend’s child which police feel is what caused the fatal altercation. She was pronounced dead at the scene. The suspect Sylvester Holt Jr later committed suicide by shooting himself in the chest. Police negotiators talked to him prior to the suicide.